The time is finally upon us Havenites. The Top Five Episodes Rewatch is over and now it is time for the first episode of Season 5b. If you were unable to join us for the fan events the last few weeks we hope that you can join us now. Now that the show is starting back we are hoping to have more of an online presence from the fandom when it comes to things like live-tweeting events. 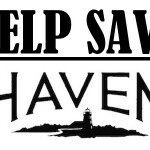 We need all of you to live-tweet the episodes starting this week using the hashtag #SaveHaven. Let’s see if we can get it trending! We know a few people have moved on to film other projects but all hope is not lost. The first thing we need to do is get the numbers higher. In order to shop the show around they are going to need to be able to show a solid large fanbase. There are definitely a few of you with online presences but we need to see more of you. We know you’re there! Go to twitter, instagram, facebook, etc. and post about Haven (ex. Live tweet during events, post pictures of your favorite moments, tell everyone that you’re watching the show). Last time we talked about posting images of yourself holding up a sign with the hashtag. A lot of people seemed to like this idea but sadly we did not see many people doing it. So now is your chance! Do whatever you can to show and share your love for the show. 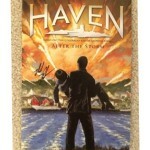 All seasons of Haven, including 5a, are available to watch on Netflix. Currently Haven is showing up in the ‘Trending Now’ section which is awesome. 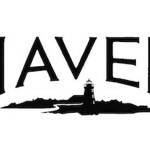 If you have any friends that are looking for a new show to marathon let them know about Haven. Need a refresher before Thursday night? Jump on and watch a few episodes. By keeping it on that ‘Trending Now’ list, it lets more people see the show. You’d be surprised to know how many new fans shows get just by being featured on Netflix’s page. Let’s see if we can get it on the ‘Popular on Netflix’ list! All seasons are also currently available on DVD/BluRay so if you do not have them yet, pick up a copy today. Digital copies are also available from a wide range of retailers including Amazon and iTunes. I did attend Dragoncon, which was the same weekend as FanExpo Canada. Stickers were sprinkled around DragonCon detailing the upcoming premiere while a lucky few at FanExpo received free copies of Season 5a and/or got see see an advanced screening of the preview! It was an exciting weekend to say the least. A few t-shirts were made by me that were passed on to Steve Lund (James Cogan/The Colorado Kid) and Laura Vandervoort (Arla Cogan/The Bolt-Gun Killer) along with one for series producer Shawn Pillar via Laura. Laura posted a photo of the shirts to her instagram. We look forward to seeing you all online during the premieres to help share the #SaveHaven love! This entry was posted in General, Season 5 and tagged Tagged: Miranda G, save haven campaign on Wednesday, October 7th, 2015 .